The 2014 Holiday Banquet Season is Here! Portland, TN – It’s all about you… as FWE / Food Warming Equipment Co. is your one-stop shop for everything you need this banquet season! Choose from the most efficient and cost-effective Banquet Cabinets, Bars, Cook & Hold Equipment, and Refrigerators in the foodservice industry! 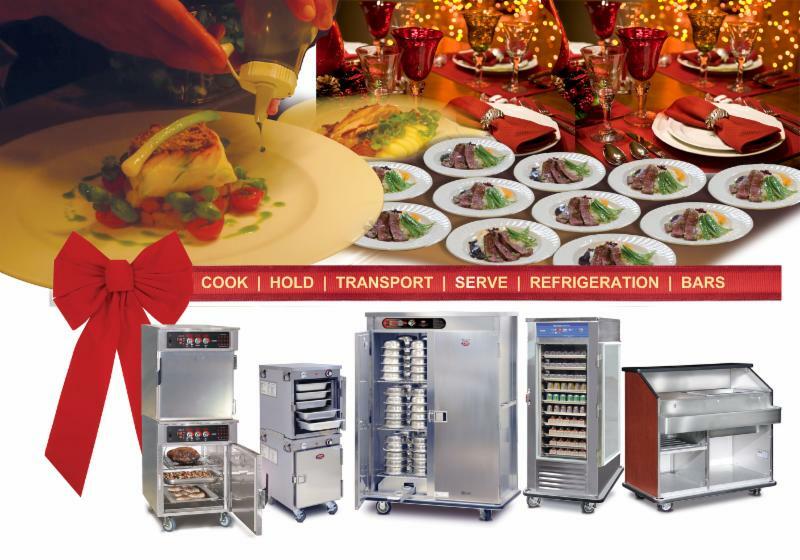 Consistently voted Best in Class in Mobile Food Hot Food Holding Equipment, with over 60 different Banquet Cabinets from which to choose, FWE has exactly what you need for those holiday feasts! From 40 to 200 meals can be held hot in their durable, all welded, all stainless steel cabinets. User-friendly controls, built-in heat systems, heavy-duty latches, and full bumper protection are just some of the standard features on FWE’s Banquet Cabinets. For those celebratory toasts and traditional egg nog indulgences, FWE now offers more than 24 different styles of NSF Approved Portable Bars. NSF certification is a distinction that sets FWE apart from all others when it comes to safety. Couple that with durable construction and cost saving Post-Mix and Bag-In-Box serving capabilities and you have a new reason to celebrate! Don’t forget about FWE’s newest update to their Cook & Hold line. 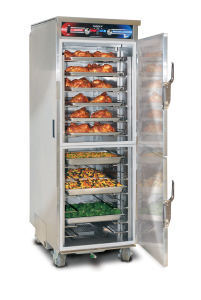 The newly redesigned LCH (Low Temp Cook and Hold) Series is versatile enough to cook and hold anything from beef, pork, and poultry to roasted potatoes, bread and pastries. The oven you can’t live without saves money and labor by cooking overnight with lights out and holding to perfection until preparation and plating. FWE’s Clymate IQ Heated Holding Cabinet will change the way you serve at banquets. The Clymate IQ reaches set heat and humidity levels in under 30 minutes. Twice as fast as many other cabinets. The Clymate IQ then keeps food at optimum serving temperatures through peak serving periods. Portable and easy to use, it is perfect for short-term staging and extended holding times, eliminating hot spots and cold spots with minimal operator involvement. Last but not least, FWE offers Refrigeration solutions that operate in the most demanding and punishing environments. Tough construction absorbs vibration and shock during transport. FWE’s forced air “COLD-TEMP” system maintains a balanced temperature that gently circulates cold air evenly throughout the cabinet.